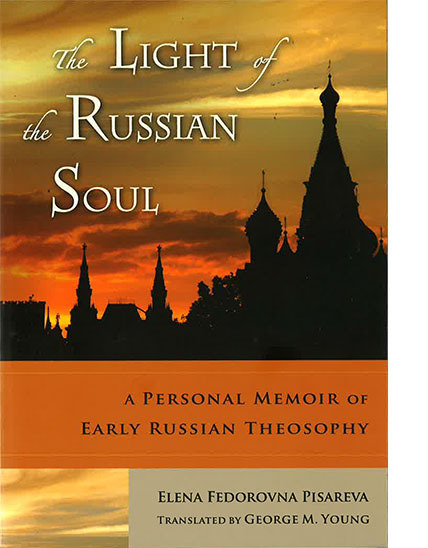 The Light of the Russian Soul is the first publication/translation of this text into English. It paints a lively picture of theosophical activities and controversies not only in Russia, but throughout Western Europe during crucial early years. There are brief but fascinating glimpses of Tolstoy and other leading Russian contemporaries revealing their previously unrecorded attitudes towards theosophy.This book offers theosophists new ideas for putting theosophical ideals into practice, while also offering anyone interested in Russia or Theosophy a fresh account of an important and largely overlooked movement in early 20th century Russian social and intellectual history.